Hey Al, buddy! How about we jump in the jet and go out for some buffalo wings and a few 32-gallon drums of popcorn shrimp packed in cold lard? It was the lard that sealed the deal. 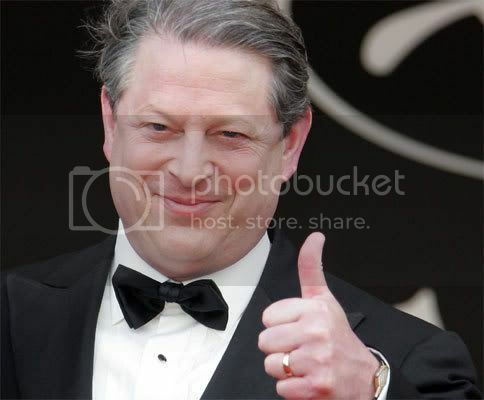 The UK just told Gore and his admirers in British schools that An Inconvenient Truth is a lot of bunkum and must be exposed as such if it is shown to schoolchildren. Check out Nice Deb's blog and follow the linkage to Newsbusters. It's good. Real good.